Kostadinov & Partners Law office was founded in 2006 by Attorney-at-Law Atanas Kostadinov and Attorney-at-Law Petko Machkarski as its first name was Kostadinov and Machkarski. A year later Attorney-at-Law Petko Machkarski left the Bar to embark in the recesses of enforcement and is currently listed as a PEA in the Register of the Camber of PEA with area of operation District court Smolyan. Kostadinov & partners Law office is headed by Attorney-at-Law Atanas Kostadinov. He graduated in Law at Plovdiv University Paisii Hilendarski in 2005. 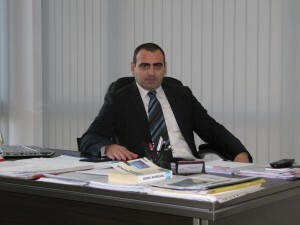 After that he has worked as in-house lawyer in Construction Materials and Systems ABO Ltd., Plovdiv. During his work there he managed to accumulate substantial practice in Commercial Law which subsequently determined the main focus of his work in Kostadinov & Partners Law ofiice. Attorney-at-Law Kostadinov has good contacts with well-known Law firms on the whole teritory of Bulgaria, Notary offices and Private enforcement agents. He participates in numerous proceedings before various administrative and judicial institutions. From August 2014 Attorney-at-Law Kostadinov is Chairman of Arbitration court Plovdiv at Association Legal advice and Mediation. The main purpose of the team of Kostadinov & Partners Law office is to provide its clients with most comprehensive and high-quality legal service. The team of the firm consists of young proffesionals who spare no effort to keep the interests of our clients. Following the need of continuous improvement the lawyers in Kostastadinov & Partners Law office are regular participants in legal seminars. When the case so requires the firm uses the services of external consultants – well-known names in their fields who help us to achieve optimum results.